Samsung’s newest batch of smartphones is set to polarise at the ends of innovation and ‘budget’, with new ideas for different markets aimed towards the ideas of high speeds and affordability, respectively. 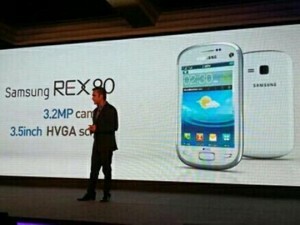 Revealed under two different brands this week, it was announced that users in Samsung’s ’emerging’ markets (thought to include India and Brazil), will soon be able to get their hands on the ‘REX’ range (under 4 different models, the 60, 70, 80, or 90). 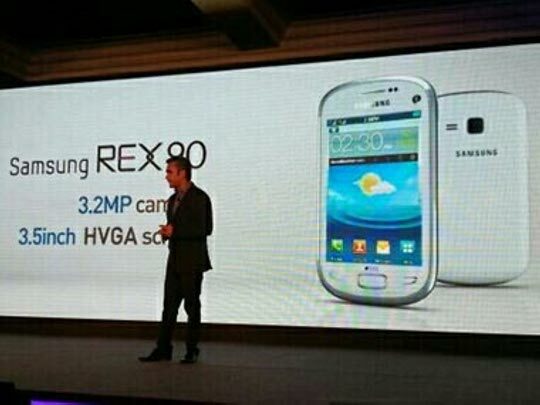 These phones all offer ‘Java-based operating systems’ complete with ‘Samsung TouchWiz technology’, along with slight increases in features depending on the version, such as a 1.8-megapixel camera (on the REX 60) to 3.2-megapixels seen on the camera of the REX 90. Prices for the phones are expected to range between $75-125 (£50-80), as the South Korean company look to direct the product more towards users unable to afford even their own high-end Galaxy smartphones, let alone the premium-cost offerings that the likes of Apple provide. Meanwhile, the company also hinted that the latest in their ‘Galaxy’ range will be the S4, containing a 5-inch screen, 1080p display, Bluetooth/FM radio support, an 8-core processor, and 13-megapixel camera. However, the most impressive of the features appears to be the rumour that the device will be one of the first in the world to carry 5G WiFi capabilities, a signal quality said to be equivalent to that of a wired desktop connection. With a definite quality gap between the two forms of Samsung smartphone, it is unclear how much an S4 would cost if the rumours are true, but would you be willing to spend however much that is on a new product that has the finest in technological advancements and connectivity, or would you rather save a huge wad of cash by foregoing a number of smartphone features with the REX?